The information presented on this page was originally released on September 12, 1997. It may not be outdated, but please search our site for more current information. If you plan to quote or reference this information in a publication, please check with the Extension specialist or author before proceeding. MISSISSIPPI STATE -- After a season of mostly favorable weather conditions, rice growers are seeing the first signs of a promising crop as harvest begins. "Rice looks good so far and the yields seem promising, but with only about 10 percent harvested, it's too early to make solid predictions," said Dwayne Wheeler, Tunica County area rice extension agent. Cool temperatures hurt stands early in the spring during planting time, but weather conditions were more favorable throughout the growing period, particularly while rice was heading. "The weather helped us escape some of the disease problems we normally have to deal with, such as sheath blight," Wheeler said. The greatest challenge most growers faced this year was getting rice fields started. "We had some problems getting good stands, and a good bit of replanting had to be done. Some fields are turning out with rice at two different stages of maturity," Wheeler said. Insect problems also were minimal this year, with sporadic episodes of stink bugs in some fields. Don Respess, extension agricultural agent for Bolivar and North Sunflower counties, said (unwanted) red rice has been a problem for growers. "There seemed to be a lot of red rice in the fields, but overall we did a good job controlling weeds," Respess said. "Generally, the crop seems to be turning out well, but ideally we would have gotten more plants to emerge," he said.  Although stands were thin, acreage was estimated at 268,000 acres in Mississippi, an increase of about 10 percent from 1996. The 1997 Mississippi yield per acre is projected to be 5,500 pounds, which although average, is about 500 pounds below last year's record. Wheeler said the $9.90 per hundredweight projection for 1996 and 1997 should remain firm as exports and domestic use are up and stocks are expected to be slightly down.